Do you ever flick through interior design magazines wishing the rooms in the photos were your home? Do you swoon over the beautiful arrangements of colours and furniture, wishing you could create something just as stunning? Designing and decorating the rooms in your home can feel very daunting, especially if you’ve never embarked on such a project before. It goes without saying that the photographs in the magazines were styled by a team of professionals, creating intimidating standards. However, turning your home into the abode you dream of is completely within your reach without the help of a team of designers. All you need to do is learn the key tricks of the trade to give your decorating efforts that professional edge. This tip reigns true for so many situations. Mirrors are a designer’s ultimate weapon in subtley transforming a room. If you want to make a smaller room feel much bigger, hang a mirror on the wall to easily increase the room’s perceived size. Make sure you choose the right size mirror for the job, as smaller ones can struggle to give this effect. The larger the mirror, the more space it will ‘create’. Mirrors are also a great way to fill an empty wall, especially if you’re not into hanging artwork or photographs. Again size is incredibly important, as a small mirror on a large wall will be lost. Lastly, mirrors are perfect for reflecting light in a dark room. If there is a space that struggles to receive natural light during the day, place a mirror (or two) across from the windows to help bounce light back in. You can also do this with artificial light. Colour is one of your most powerful tools when designing a space. It is the basis of the theme and feel of any room, and how guests will perceive it. A rule of thumb for smaller rooms lacking in natural light is to choose softer, lighter colours to help make the room feel much larger. 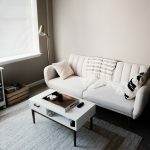 Painting the walls of a small room white will help reflect light into all corners, giving a light, open, and airy feel. 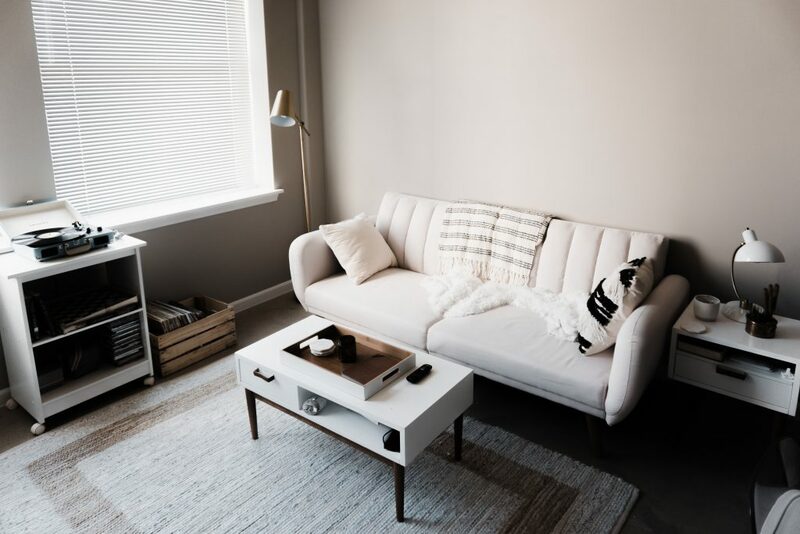 If light colours can feel too ‘clean’ for your liking, set them off against brighter or darker accents in decorations like curtains, rugs, and cushions. In contrast, painting the walls of a large, spacious room a dark colour can help bring the space inwards and make it feel cosier. It goes without saying that dark colours work in the opposite way to light ones, and instead of reflecting natural light they absorb it. This can create a moodier, more mature atmosphere depending on the way you furnish the room. 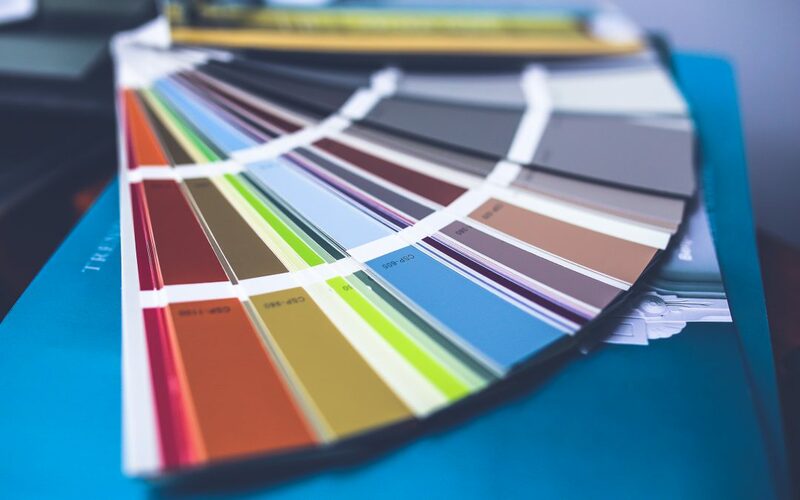 Analyse the room that you’re looking to decorate, taking into account its size, lighting, and purpose, and then choose the colours for your walls to match. Education is the first step to improving any kind of skill, and there’s no better way to learn than from the professionals themselves. You can find lots of information online, and designers specialising in various different niches. However, if you’re completely new to the world of interior design it’s best to start with a more broad approach to your learning. One of my favourite books is by award winning interior designer Kiran Singh, “Discover the Designer in You”. 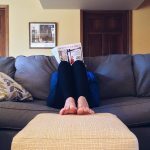 Having read it cover to cover myself, I can personally vouch that this book gives you all the right tools to really transform your home into the interior design dream you’ve always wanted. This book is packed full of inspiration to help you find your own style no matter what your budget may be. Learn about choosing complimentary colour schemes, how to effectively light a space, managing your design project, and even more! Above all, it gives you the confidence to carry out your design dreams yourself. 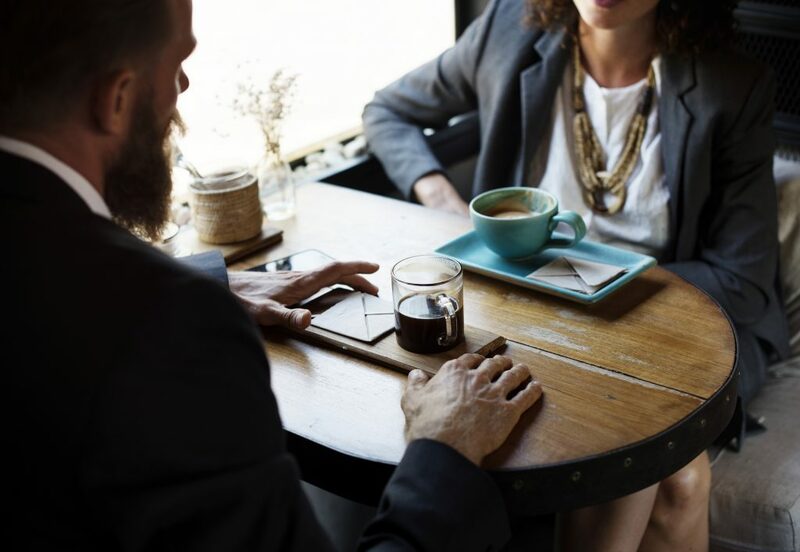 Professionals are just that for a reason, so they’re the best people to learn from. Check out Kiran’s book to see for yourself. 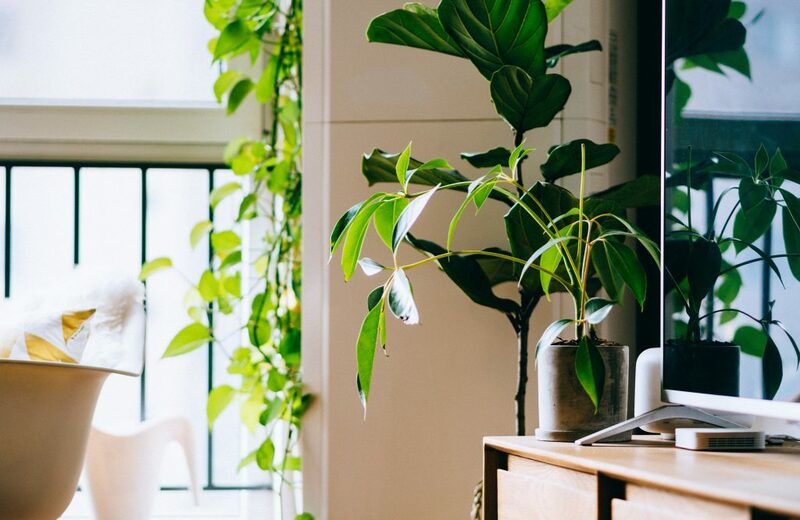 A quick, easy way to refresh any room is to add some living greenery. Potted plants are a brilliant tool in any designer’s arsenal to quickly add new life to a space. They’re a cheap way to accessorise, adding both colour and texture. You can choose from a whole host of varieties in all different sizes for your indoor garden, from tiny succulents to larger indoor trees. There’s a plant to suit every skill level too, with many indoor types being incredibly hardy, so perfect for those lacking a ‘green thumb’. Take this opportunity to choose a pot that compliments your room’s theme. As well as using the plant for decoration, the pot it lives in can serve the same purpose too. Just ensure that the pot provides plenty of drainage to stop the plant from getting root rot and dying. This tip can sting a little if you’re on a budget, but we’ve all heard about investing in classic pieces. You’ll be told to splash out on a quality, amazing pair of black jeans because you’ll be wearing them for years to come, and the same goes for furniture and decor. Choosing where you spend your money is the important part, as some areas won’t suffer under a smaller budget. Items like the sofa, bed frame, and flooring will all see a lot of use in their time. By investing a high quality and durable pieces that will seamlessly fit into various trends, you’ll be doing yourself a favour. These items are costly to replace, especially if you have a habit of choosing trend based pieces. Instead choose more classic versions and keep the cheaper, easier to change items trend lead. A truly skilled interior designer is one who can create a whole new room but barely spend a dime. 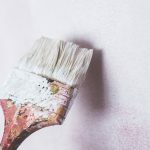 Before you splash out on fancy new furniture, or pull the place apart to paint it a new colour, think about whether you can transform the room simply by moving around what you already have to brighten up your home. You will be surprised just how much of a transformation a room can undergo simply by changing the layout. Plus you won’t have broken the bank to do it! 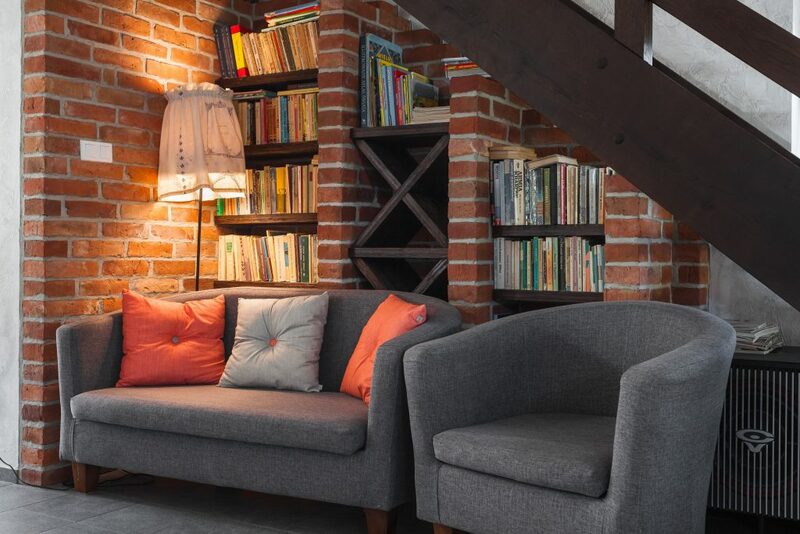 If rearranging doesn’t quite bring the impact you want, you could also repurpose your existing furniture by repainting chairs or cabinets, recovering cushions, and choosing new bed sheets in a dramatic but complimentary design. Now all you need to do is put your newly acquired knowledge to the test! Start by doing your research, read some home improvement blogs, putting together some pinterest boards, and planning exactly what you want to get out of your room. If you put these pro interior designer tricks to use, you’ll be sure to create the amazing space you’ve always dreamed of.